The exhaust emission control system is composed of the pair system, exhaust control system, ho2 sensor, threeway catalyst system and isc system. The fresh air is drawn into the exhaust ports through the pair control solenoid valve and pair reed valves. The pair control solenoid valve is operated by the ecm, which is controlled according to the signals from tps, ects, iaps and ckps. The exhaust gas flow is performed by the exhaust control valve actuator which is controlled by the ecm by changing the exhaust control valve angle. 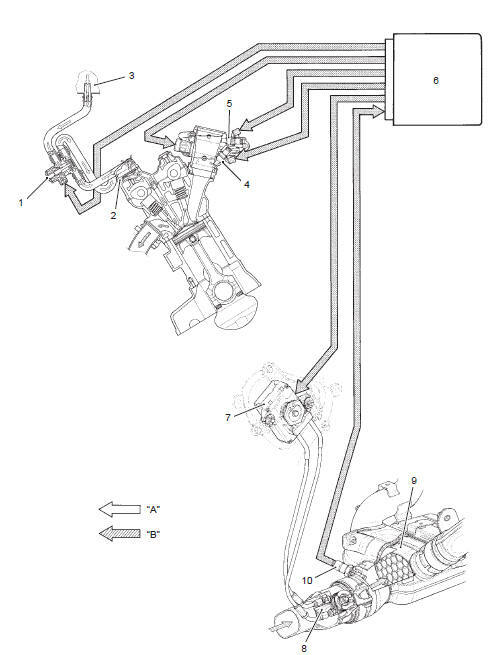 Isc valve adjusts the bypass air volume of the throttle body to control engine idling speed with various sensor signals by varying engine running conditions.